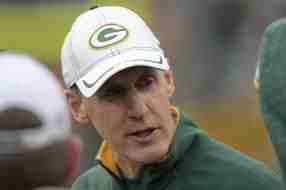 The Miami Dolphins will hire Packers offensive coordinator Joe Philbin to be their next head coach, a league source told NFL Network's Michael Lombardi Friday. Philbin was one of three finalists for the head coach job. The Packers could lose other coaching staff, as an article I posted earlier you can find here, and players who are free agents, or contracts expiring, like Matt Flynn, Aaron Rodgers backup. Flynn had a record setting game for the Packers, Flynn threw for six TD in the last regular season game, while Rodgers and other starters rested, for the upcoming playoffs at the time. The Dolphins have a need for a franchise Quarterback, that’s were Flynn could fit in nicely. The Dolphins interim coach Todd Bowles, also interviewed for the head coach, and is well liked by the players; Bowles could stay on as Defensive Coordinator. Bowles reportedly has interviewed for the Raiders Head Coach job also. The Packers Mike McCarthy has nothing but praise for Joe Philbin; his Family has gone through a tough time, with the tragic death of their son. Philbin was away with his family, and returned for the Packers, Giants playoff game. McCarthy said it was not expected, it was not asked of him. But Joe's a class act." More on this news here!